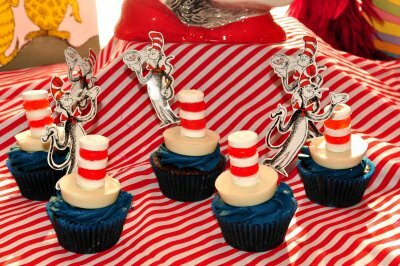 Here are a few of my fabulous inspirations for the adventure that is the $20 Cat in the Hat Party. 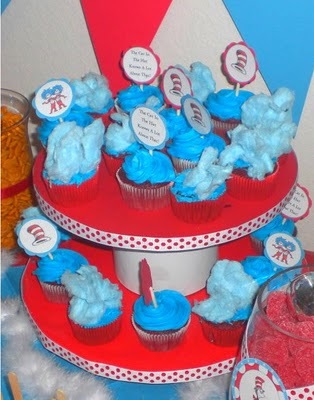 Texas Monkey also made some fabulous Thing 1 and Thing 2 cupcakes. 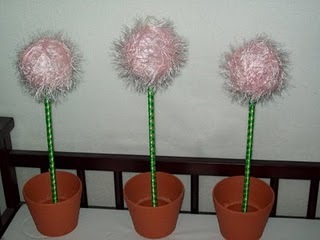 I won't be doing these, but they are absolutely adorable. 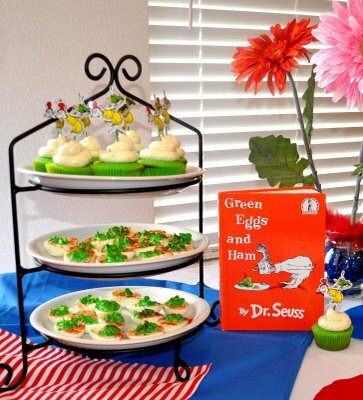 And what is a party without Green Eggs and Ham? 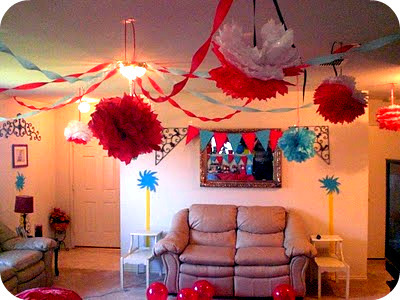 Kara's Party Ideas has a whole bunch of fabulous ideas for a baby shower that I am totallly turning into a four year old birthday party. Yummy Yummy cupcakes from Kara's Party ideas! I want these now. That is it for today. 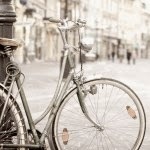 I am so excited for this project and I know i can do it. My first step was the invitations. I had some grand ideas, but in the end budget-wise it made the most sense to use Pingg to send out the invitations. It's like evite, but I like it better. There are a lot more options and they will even mail out paper invites if you like (for a fee). Keep your ideas coming and I will keep everyone updated on my thrifty fabulous Cat in the Hat party!